Blockchain is ready to transform personal transportation. In February, Porsche earned the distinction of being the first automaker to successfully test blockchain, the distributed ledger technology best known for supporting cryptocurrencies, in their cars. However, they are far from the only carmaker exploring ways to integrate this promising technology into their vehicles. Nor are all manufacturers keen to do so in the same way. Here are six ways Porsche and other carmakers hope to use blockchain to power the future of personal transportation. Porsche explored several potential uses for blockchain through their case study with Berlin-based startup XAIN. One of the most useful might also be the simplest: using blockchain to help drivers unlock their vehicles. 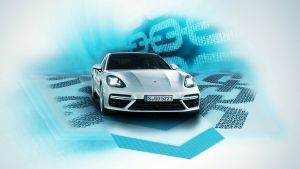 After the researchers added the test vehicle, a Porsche Panamera, to the blockchain, the driver could communicate with it directly via an app — their instructions no longer needed to go through a third-party server. This greatly sped up the vehicle’s response time. When the driver used the app to instruct the vehicle to unlock, the vehicle complied in just 1.6 seconds, which is six times faster than was previously possible. Car blockchain systems could also enable car owners to grant others temporary access to their vehicles. You could simply use the app to unlock your vehicle remotely, giving a friend a chance to snag a forgotten sweater from the backseat. You could even grant a third-party delivery company, such as UPS, the ability to unlock the vehicle to leave a package in the trunk. Such authorizations would be risky today, given that the directive would need to go through a Porsche server. If someone hacked that server, they could unlock a vehicle without permission. That wouldn’t be a problem with a secure, decentralized blockchain. Blockchain first landed in the public consciousness as the technology supporting cryptocurrencies, such as bitcoin, and Porsche hasn’t forgotten the tech’s financial roots. The company sees the potential for car owners to use blockchain to pay for the electricity to charge electric cars. Imagine if every time you charged your vehicle, the action triggered a smart contract on the blockchain that took the appropriate amount of money from your account and sent it to the charging station. The financial applications could also extend to paying for the car itself. You could create a smart contract that sent in your car payment on the first of the month. The car blockchain would record the balance due and stop making payments once it reached $0. The same could go for your monthly parking cost, your insurance, or any other financial transactions involving your vehicle. As Porsche noted in their news release, automakers could use blockchain to improve autonomous driving systems. As a self-driving vehicle navigated the world, the blockchain would record data about the trip. This data could include everything from information about regional weather conditions to general traffic patterns. Other vehicles in the network could then access this information. Toyota agrees with this sentiment. In May 2017, the company teamed up with MIT Media Lab to work out ways to use blockchain to speed up autonomous vehicle technology. Others are approaching blockchain technology from remarkably unique angles. According to Reuters, BMW is working with London-based blockchain startup Circulor to ensure the cobalt they use for their electric vehicles’ batteries is ethically sourced. A BMW spokesperson told Reuters the company couldn’t comment on the project, but that could have something to do with its sensitive nature. The Democratic Republic of Congo (DRC) mines roughly two-thirds of the world’s cobalt. Of that, about 20 percent comes from artisanal unregulated mines that often exploit child labor. An estimated 40,000 children in the DRC spend their days in these mines, rather than in school, working for low wages under extremely dangerous conditions. Supply-chain tracking is a well known use of blockchain, and Circulor wants to use the technology to track cobalt from the time it leaves a mine until it reaches a manufacturer. The company is already testing the process using “clean” cobalt from Australia and Canada. Eventually, BMW or any other EV manufacturer could decide to only purchase cobalt tracked via Circulor’s blockchain. Circulor could refuse to track the cobalt of any mine that doesn’t meet certain standards, such as safe working conditions or adult workers, eventually driving the unethical mines out of business. Not all blockchain projects are life and death matters. 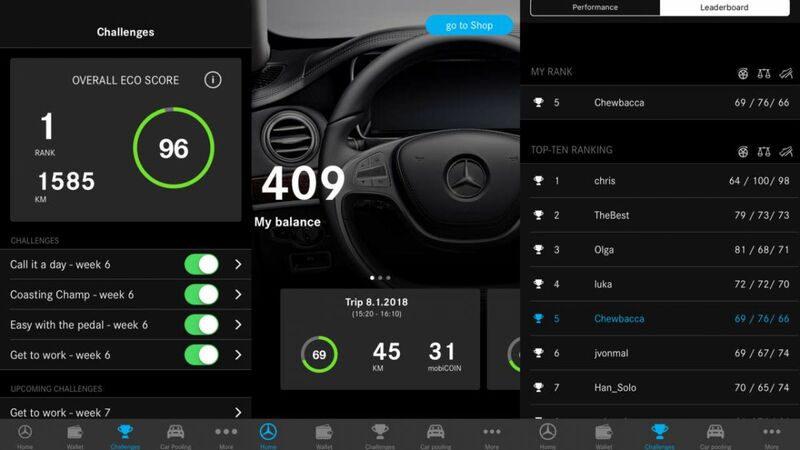 Mercedes Benz’s parent company, Daimler AG, is using a car blockchain in a far more lighthearted way, to encourage eco-friendly driving. In February, Daimler launched a project based on their own blockchain-based cryptocurrency, mobiCOINS. For three months, a test group of 500 drivers will receive mobiCOINS when they operate their vehicles in environmentally friendly ways. These include coasting to a stop, switching the engine to ECO mode, and maintaining a low driving speed. The vehicle shares the driving data with a special app, which determines how many mobiCOINS the driver has earned. The coins are then deposited into the driver’s account, with a blockchain recording every transaction along the way. With enough mobiCOINS, a driver becomes eligible to win prizes, ranging from a trip to Berlin’s Fashion Week to VIP tickets to the MercedesCup Final. This give drivers an incentive to operate their vehicles in environmentally responsible ways, and perhaps some of the habits will even stick after the project ends. Other carmakers could follow suit with their own cryptocurrency-based rewards programs, as could anyone else involved in the auto industry. Insurance companies could also use data from an owner’s vehicle to reward them for safe driving, while repair shops could reward drivers that keep up on routine maintenance. Ride-hailing services such as Lyft and Uber are already reinventing the way we use — or don’t use — our vehicles. With a few swipes on an app, a driver picks you up in their car and takes you to your destination. A number of experts, including Tesla CEO Elon Musk, think autonomous cars will take this to the next level. The car you summon to ferry you around town will no longer include a driver, and if you do own a car, you’ll have the opportunity to add it to the autonomous fleet whenever you aren’t using it. Blockchain could help make this vision a reality. In August 2017, consulting firm Ernst & Young (EY) announced the launch of Tesseract. This blockchain-based system facilitates the sharing of not just rides but vehicle ownership. Eventually, it could help owners manage entire fleets of autonomous vehicles. Using Tesseract, any group of people can share ownership of vehicles. For example, instead of every person living in a high rise owning their own car or relying on other modes of transportation, they could share a fleet of 10 vehicles. They’d request access to a vehicle when they needed it via an app, and the cars’ blockchain would record the activity of each vehicle. The system would automatically settle payments on whatever basis the owners agree upon. Maybe they’d pay a per mile fee into a shared account, or each pay a percentage of the monthly car payment that reflects how often they use the vehicle compared to other residents. Once autonomous vehicles are the norm, a single owner could manage an entire fleet of the cars using the Tesseract system or one like it. They’d just add each car to the blockchain, and then authorized users could request and pay for rides via an app.